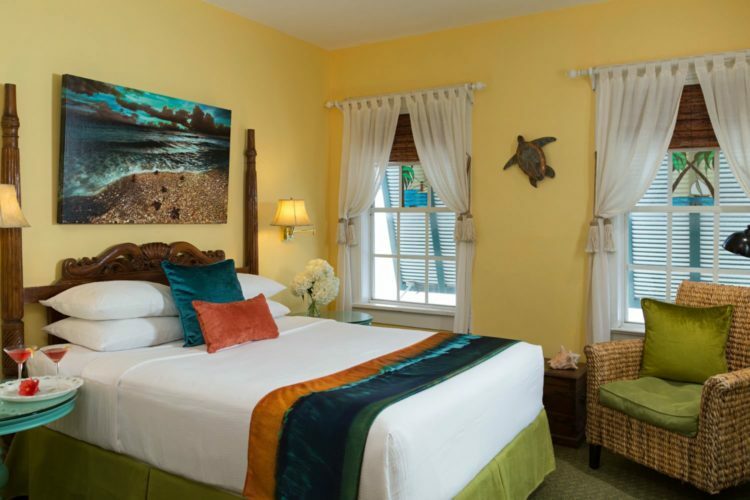 Let Tropical Inn be your home away from home during your travels to the Florida Keys! 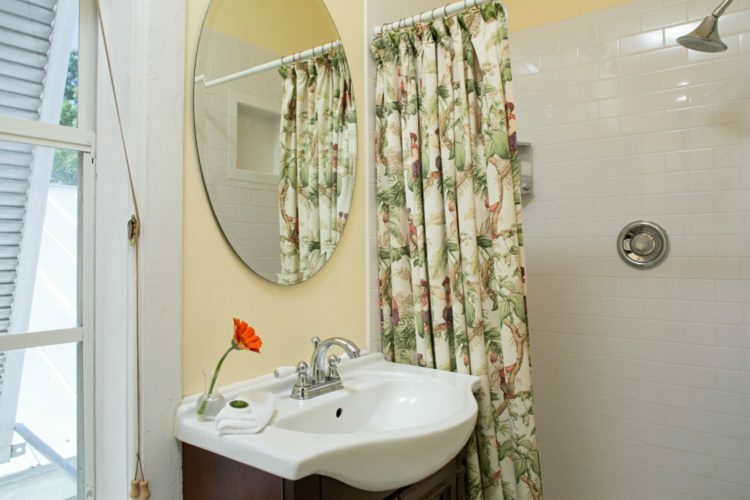 The most economical and affordable accommodations in our Key West, FL bed and breakfast are the Classic Queen rooms. These rooms are all convenient to the garden and common area porches, giving you plenty of opportunity to enjoy the sunshine and beauty of the property. 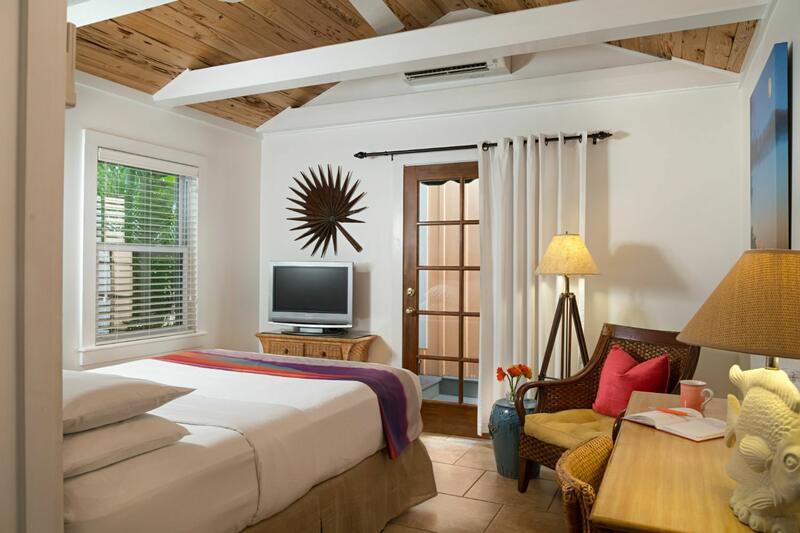 These four rooms are situated at the front and middle of the Main House, except for the Coconut Cabana, which is in a garden cottage. 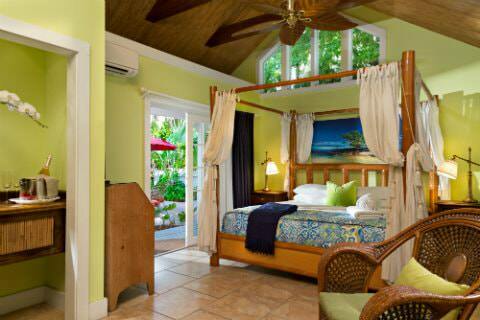 The Mango Summer room is Tropical Inn’s most economical Classic Queen, offering exceptional value. High ceilings and generously-sized windows (admittedly, offering more “light” than “view”) offset the room’s modest size with a sense of airiness and volume. 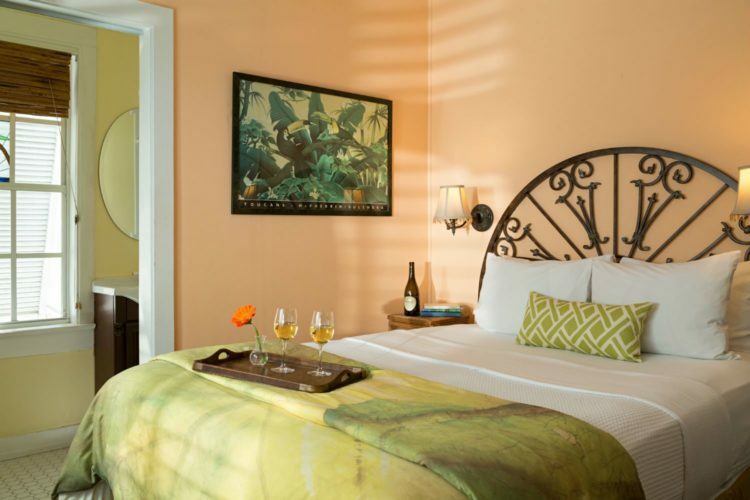 It is conveniently situated on the ground floor of the Main House, just steps from Duval Street – perfect for the guest who plans an active visit filled with exploration of Key West’s diverse attractions. 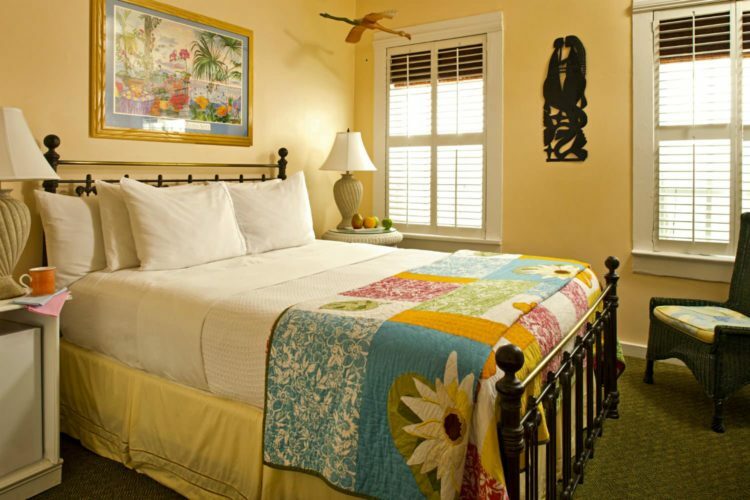 A cozy Classic Queen room on the second floor of Tropical Inn’s Main House, the Gypsy Mermaid’s Escape is a favorite of guests who enjoy people-watching on Duval Street. 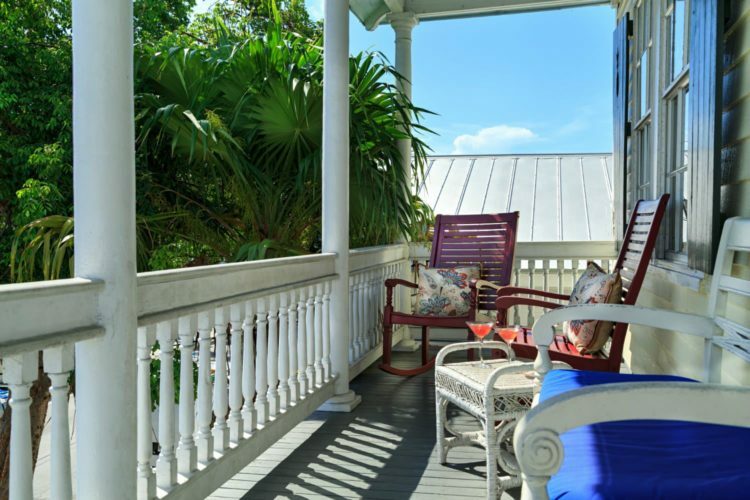 The adjacent shared veranda provides a lofty vantage point from which to savor salt-scented breezes while observing the ever-changing pageant that plays itself out daily on the street just below. 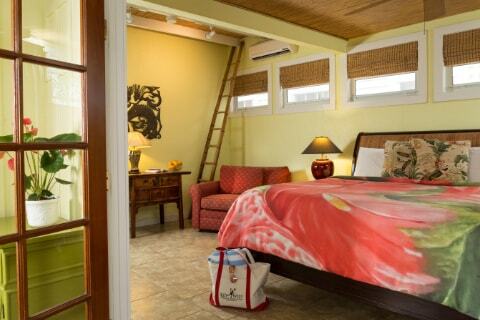 The Bamboo Room is one of our Classic Queen accommodations upstairs in the Main House of Tropical Inn. 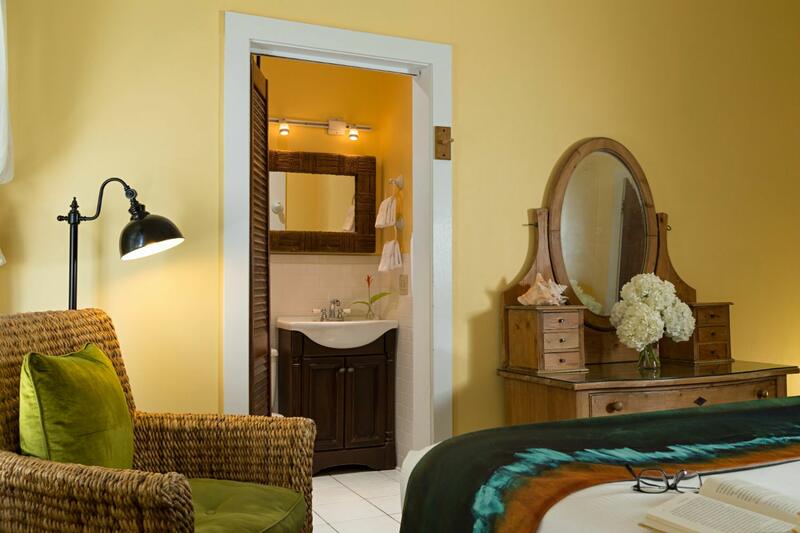 This room offers the perfect atmosphere for guests to ease the pace and envision island life in a more relaxed time. 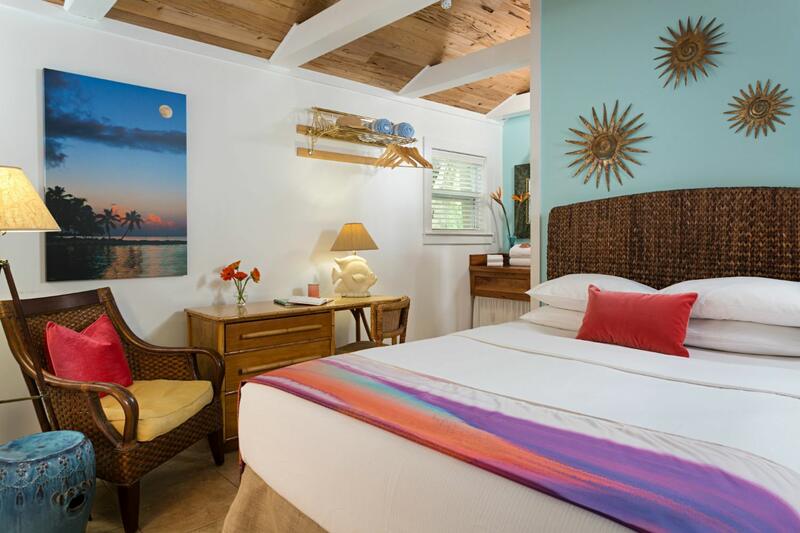 A handcrafted Indonesian teak and cane poster bed has journeyed halfway around the world to find its place here, joining a strikingly beautiful antique dresser whose own travels through time and various spaces have imbued it with character unattainable any other way. 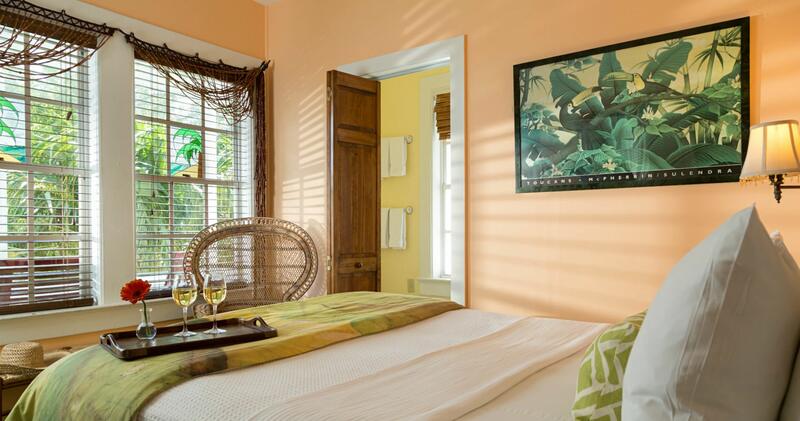 Sunlight filtering through Bahama shutters grace the serendipity of it all. 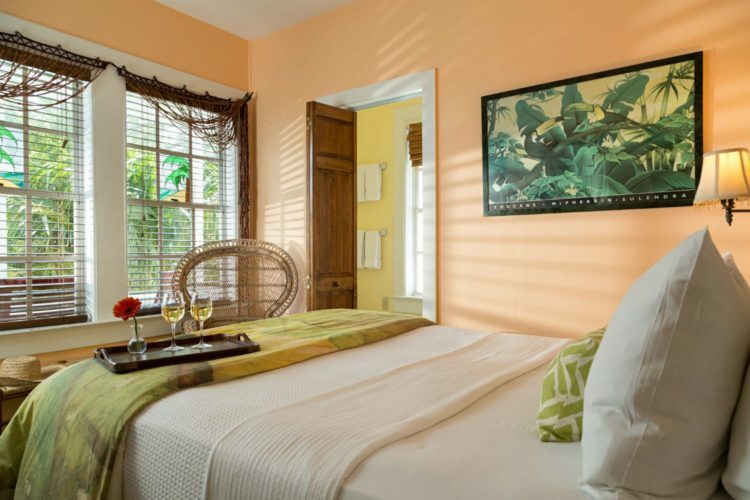 The Coconut Cabana is Tropical Inn’s most luxurious Classic Queen room, situated in a garden cottage with easy access to the garden and pool. 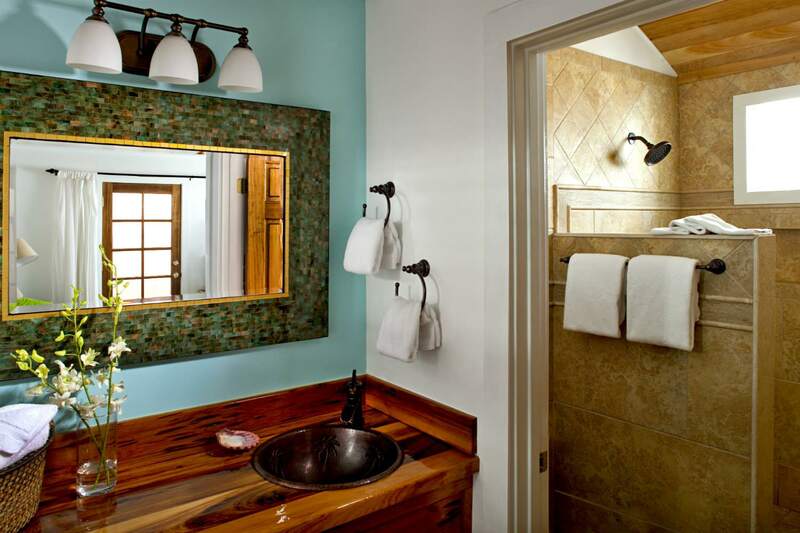 It is located adjacent to the back porch of the Main House, which provides a convenient outdoor area for relaxing or preparing a quick snack, using the communal microwave oven located there.